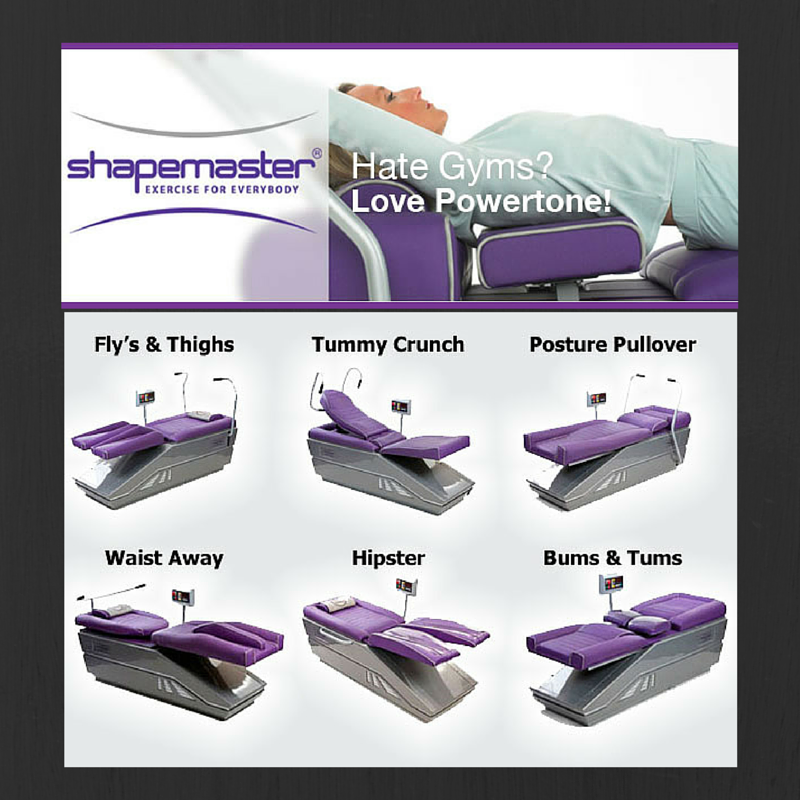 We offer Age Reversal Exercise in the form of 6 Powertone Pilates machines. 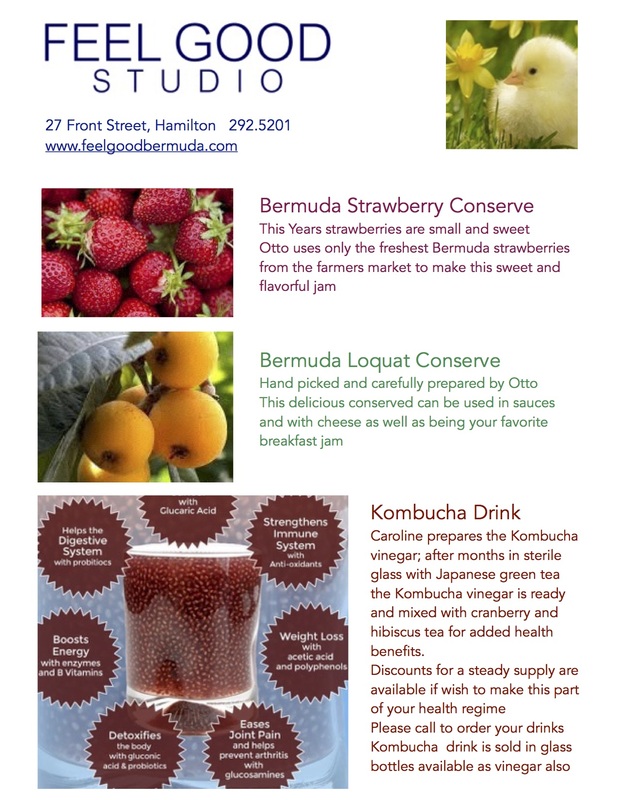 We have created a peaceful and relaxing atmosphere to quieten your mind with gentle music and natural lighting and a nice cup of herbal tea to calm you, probiotic raspberry and hibiscus kombucca tea to balance you or cool lemongrass tea to refresh you. 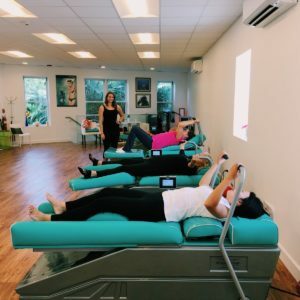 You can recline on our Powertone Pilates beds and engage your core and breathe as the machines do the movements with your spine in neutral alignment… We are seeing inch loss, postural improvement and muscular toning on our clients as well as pain relief and improved flexibility and joint mobility. We will incorporate strength training with our Total Gym machines to develop sculpted muscle tone for the entire body and improve strength. Our Powerplates will energize your legs and help reduce cellulite and balance energy flow. Our experienced and highly trained Beauty Therapists Caroline and Laura will be happy to advise you as you learn about our Rejuvenating Facial Treatments, Therapeutic Massages and Slimming Treatments. 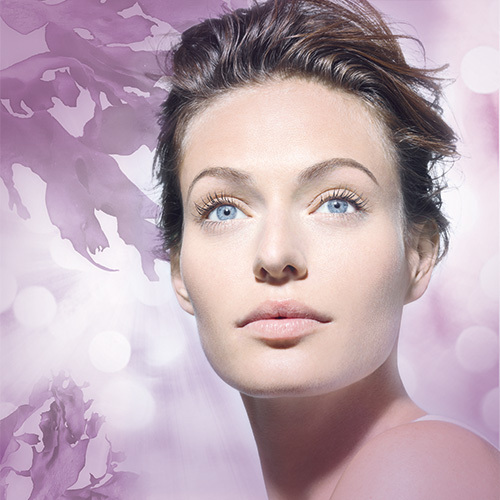 Get smooth with waxing and define your brows and eyelashes with our safe European tint. 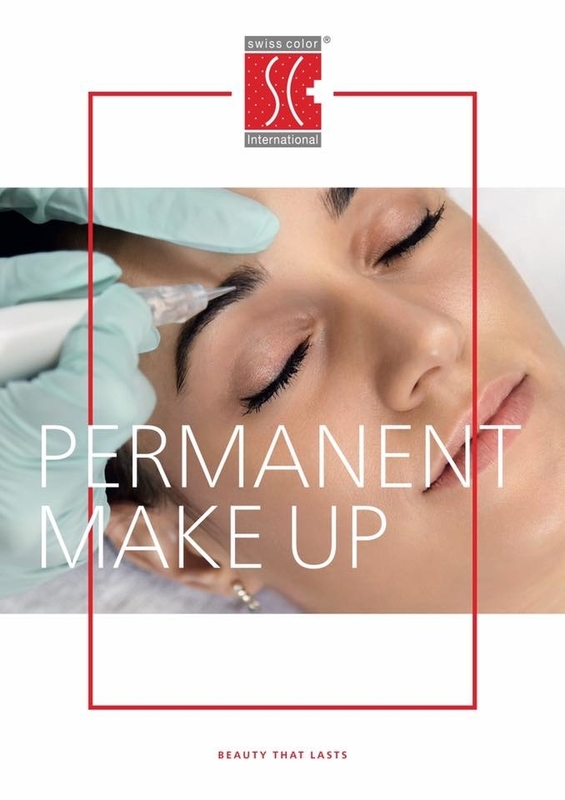 We also offer Swiss color Permanent Makeup. EXERCISE IN THE MORNING - Before your brain figures out what you're doing! By exercising in the morning you will find you have more energy throughout the day. Come and Try Powertone Pilates at Feel Good Studio to lose some weight and ease mobility. 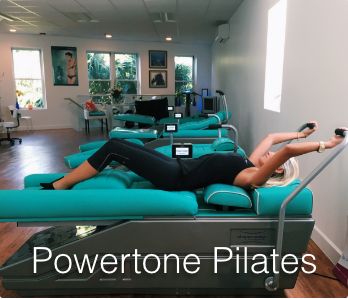 Powertone Pilates machines are designed to realign you and stretch and elongate the muscles while developing a strong core and improve posture. No Sweat and Only takes 40 minutes ! We recommend you wear long leggings and a tea shirt we have socks for you to try us. Unfit and Overweight?..... This program will get you going and increase your ENERGY and as you tone up help you burn more calories! Happy and Healthy?..... You want to enjoy SMART exercise that balances and elongates the muscles and helps to improve your core and balance and breathing! Out of balance and in Pain?.....This program is designed to realign and stretch you as you concentrate on breathe and core ...no sweat! EXERCISE IN THE EVENING - relax on our beds before you're body realises it's exercising! After a busy and stressful day at work your instinct maybe to collapse on the sofa! Come and zone out on ours and let the machines do the restorative exercise for you. 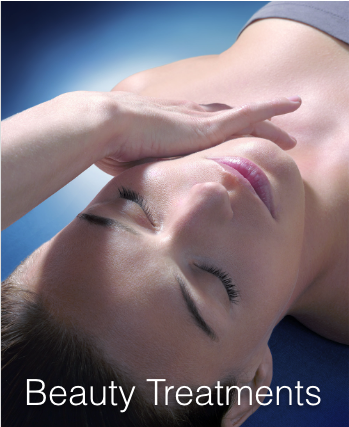 A Full Body Massage with a Performance Facial that restores optimum hydration combined to restore peace within. 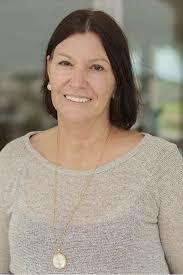 Caroline has 30 years experience in the industry, she is renown for amazing Relaxing Facial Treatments. 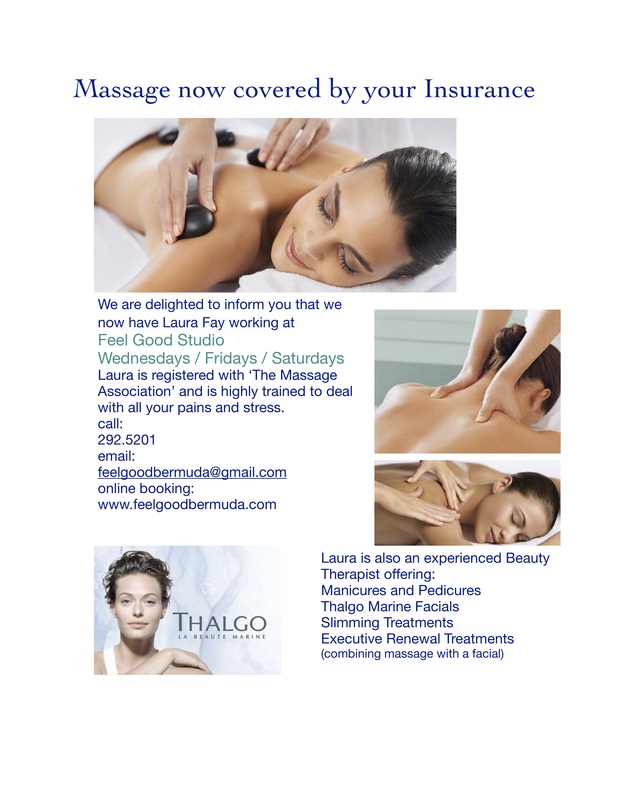 With a love of massage combined with a passion to improve the skin and maintain the experience with advise on homecare with Thalgo Marine and Aromatherapy. 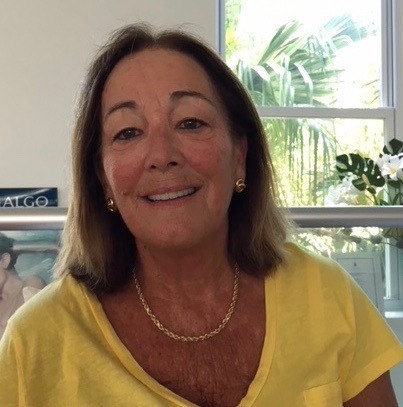 Caroline enjoys creating a Facial tailored to her individual clients. C.A.C.I slimming treatments are immediate in effect and we use a variety of waxes for hair removal and Caroline is becoming very popular at moderating a traditional brazillian with our gentle waxes. Certified and experienced in Permanent Makeup with Swiss color. 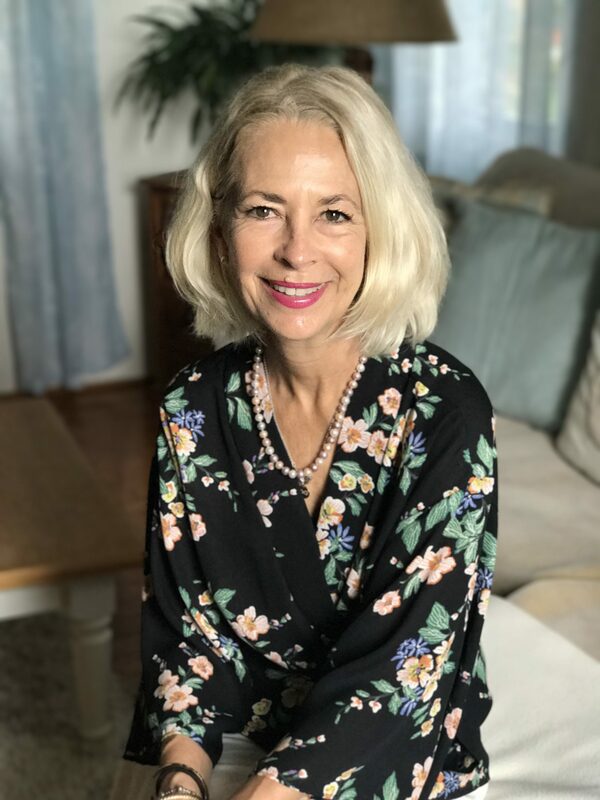 Having worked with Powertone Pilates and in Fitness since the 80s she is excited to guide you with Powertone Pilates and Total Gym fitness too! 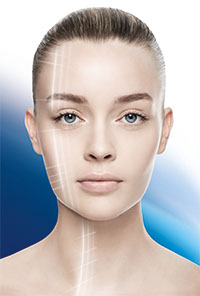 Our Facial Lifting and Eye Reviving Treatments use CACI micro current technology to give instant Lift and Contour toning. 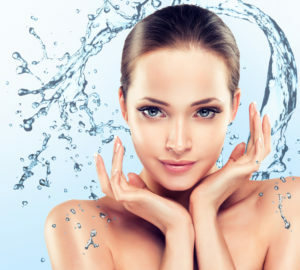 Stimulating skin cells and improving circulation and lymphatic drainage of the face, neck and eyes.we combine the power of CACI micro current with THALGO serums and creams or CACI collagen treatments. For deep results we recommend a course of 6. The Hipster gently tones and firms hips, buttocks, lower back and legs. On this machine we will train you to breathe and engage your core as you arrive.This machine can be used both prone or supine. Simultaneously shaping the chest and arms, shoulders and upper back. The Fly's and Thighs helps improve mobility within the hips and increases muscle strength in the pectoral and posterior deltoid.Desk workers have shortened pectoral fibers causing the shoulders to pull forward.This machine both strengthens and releases the pectorals ensuring balance is maintained in the chest region. The lower body engages the abductors and adductors; important in stabilizing the hip and knee in standing, running or walking. These muscles often become imbalanced but the Powertone Pilates System will strengthen these muscles equally. The Waist Away is a superb exercise for the oblique muscles. Creating firm, flat abdominals and a narrow waistline. while simultaneously adding strength and flexibility to the lower back. The internal and external obliques are diagonal muscles which lie underneath the Rectus Abdominis. These muscles are responsible for twisting actions. The erector spine muscles are also involved and strengthen the lower back. This unique exercise combination will provide fast results creating a slim waist and firm flat abdominals. 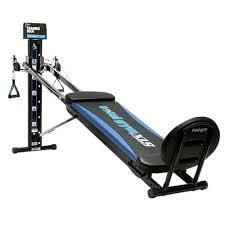 This machine will gently rock you as a reward to completing your circuit! Our Total Gym strength training apparatus develops tone and definition to muscles quickly. 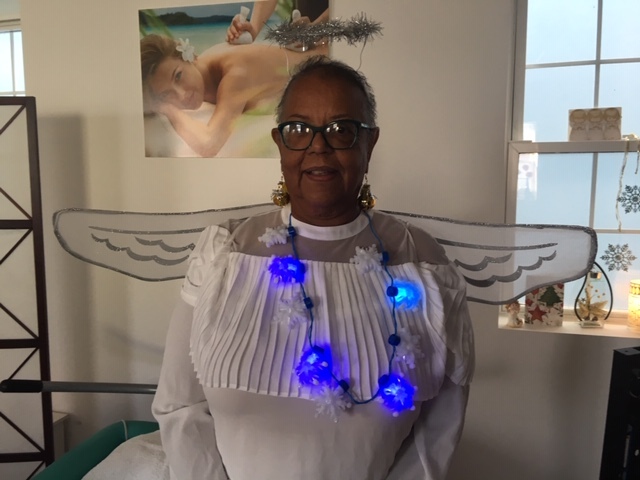 Leoni has been spreading Christmas cheer all month Today as a Christmas Angel and Yesterday we all giggled as she was a happy elf. 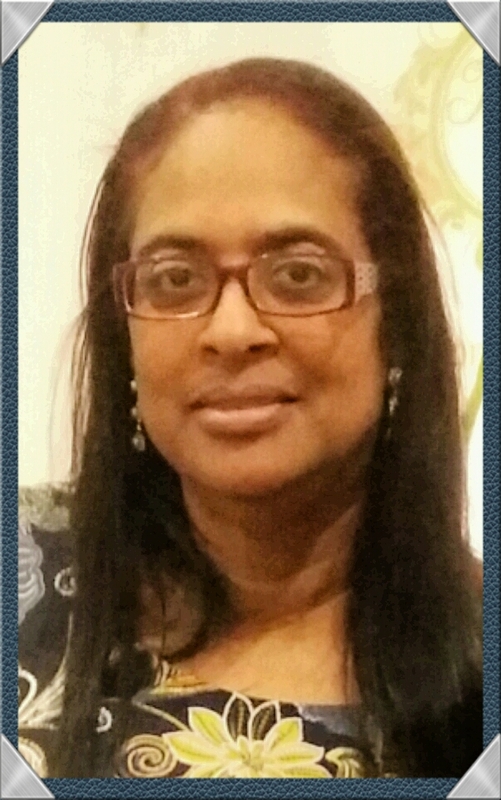 Leonie has been losing weight and toning up with Powertone Pilates. 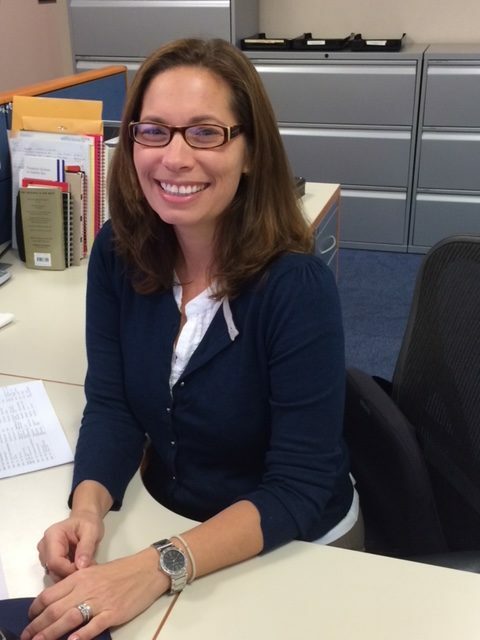 This month we praise Gina for her keen promise to herself to be motivated and coming in early to work out . Her Posture and Form are improved and she has strengthened control of her breath with Powertone Pilates . 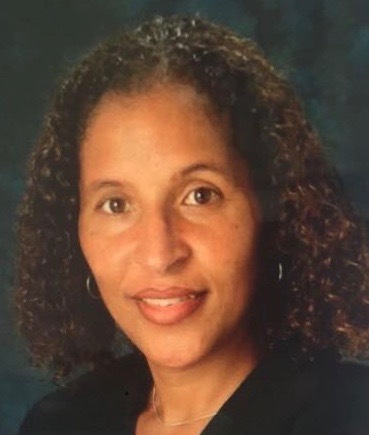 this means that she can perform her duties at work running around and assisting with renewed vigor and we love having her here as she is such a lovely kind hearted woman. Debbie is our shining star this month. She complements Powertone Pilates with Yoga. Sheena is our early bird. 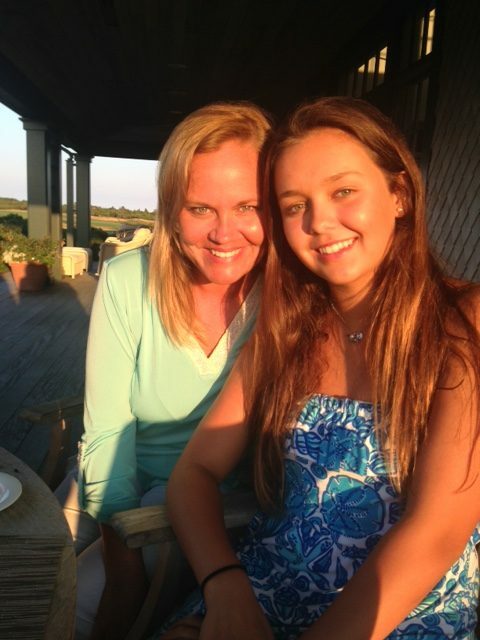 She has made Feel Good part of her lifestyle and has become a great friend to us all. She has progressed to add more exercises as her core has strengthened and toned. Alison has made the commitment to come regularly. 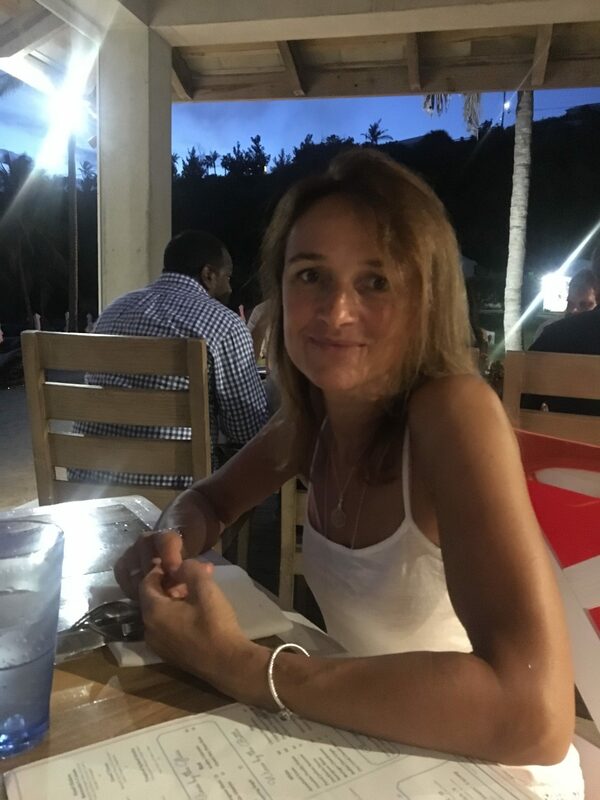 She always brings a great sense of fun and puts everything into getting the best results through mindful awareness of breath and concentration. See her testimonial as she has been delighted to acknowledge great results. She has a beautiful mind and a generous heart and an amazing ability to make other people smile..
Victoria is mother to Regan and Tatum. 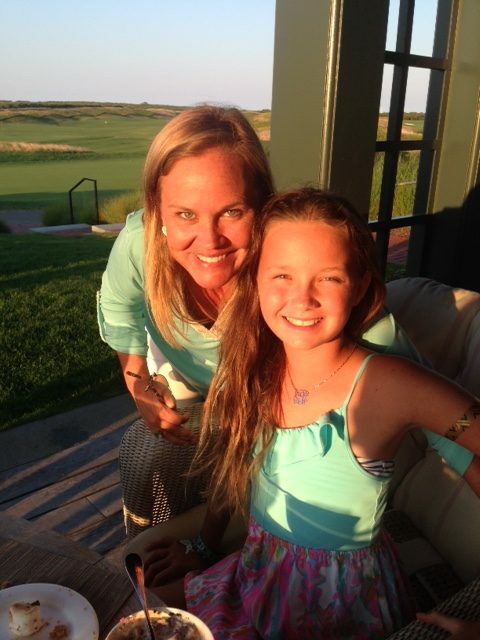 She leads by example staying active with tennis and encouraging the girls to be polite and cheerful in all they do from sailing, surfing to study. 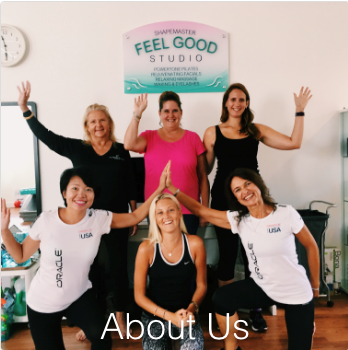 Victoria is so upbeat she always brings her good humor when she comes to Feel Good studio. 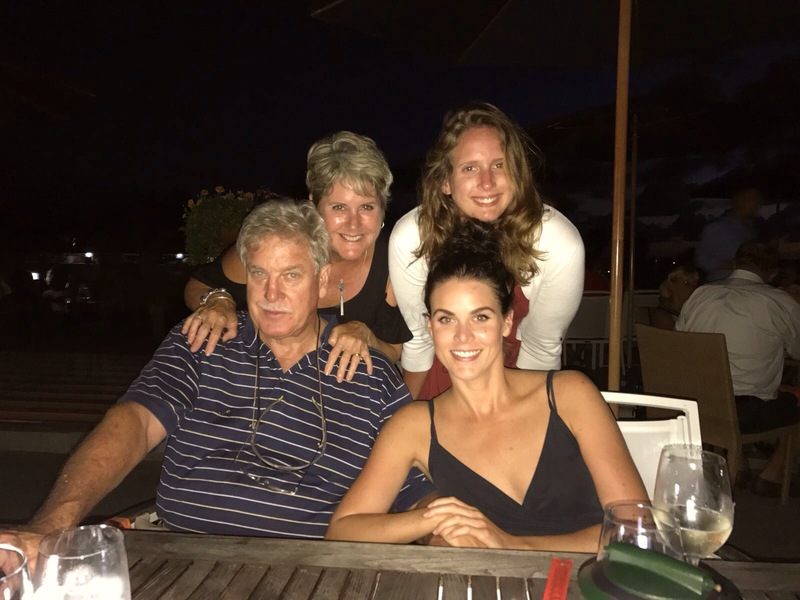 Beth manages family with a busy career in real estate. Beth has consideration for everyone before herself and therefore has abundant friendships which she nurtures. 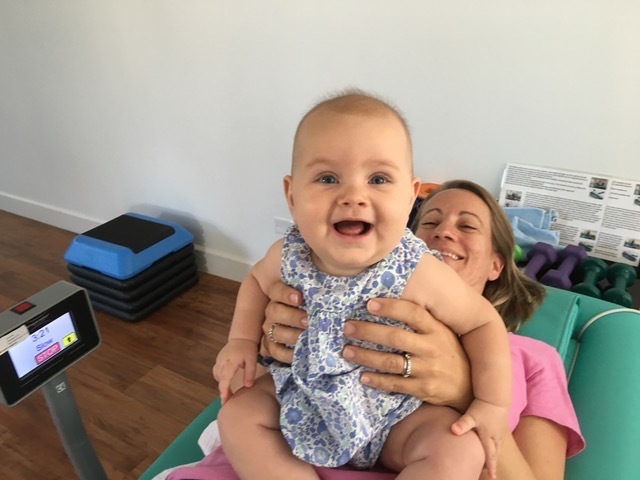 Beth has been coming to the studio for a Year and has seen remarkable improvement in her hips she is now capable to move through the exercises at advanced levels and painfree. Powertone Pilates will Strengthen your Core and Lift your Pelvic Floor which Eases Childbirth and helps keep you Slim and Toned throughout Pregnancy. Early pregnancy can be delicate. Therefore we ask that you speak to your Doctor before beginning any new regime. We would also look at how much exercise you have done prior to pregnancy and ask for a doctors note. As a woman you are aware of how your body feels and the exercises are considered safe. As your Pregnancy develops the machines will keep you mobile. We can develop the exercises to give you greater support of the lower abs and concentrate on breathing techniques while isolating muscles for toning and easing backache. Powertone Pilates will help tighten the abdominals and lift the pelvic floor all the while protecting your back. Always attentive to a Woman's individual Beauty THALGO has something for everyone. Our skin has a natural affinity with marine skincare as we are 80% saline, allowing the product to work deeply into the skin cells. 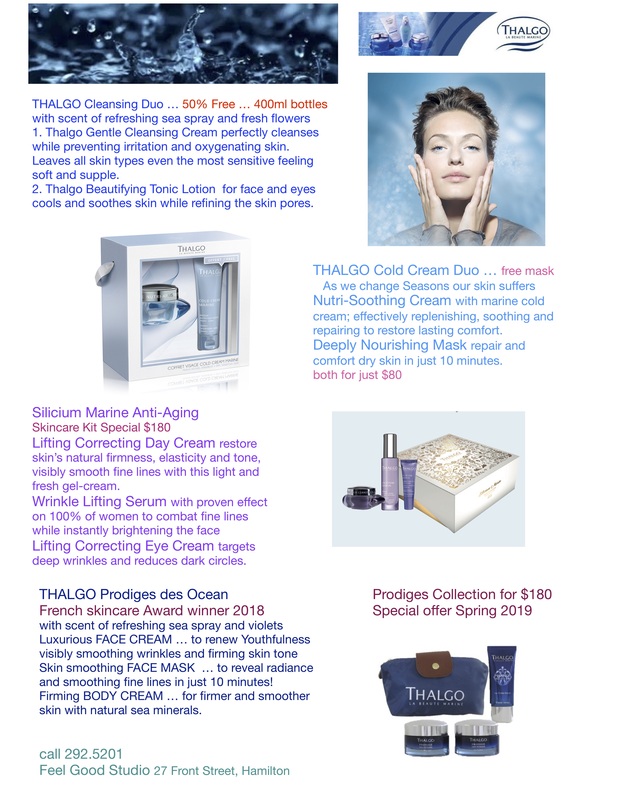 THALGO draws inspiration form the Heart of the Ocean where marine plants and species face extreme survival conditions needing to retain oxygen and collagen and THALGO have identified marine active ingredients with their rejuvenating properties for each individual skin type. 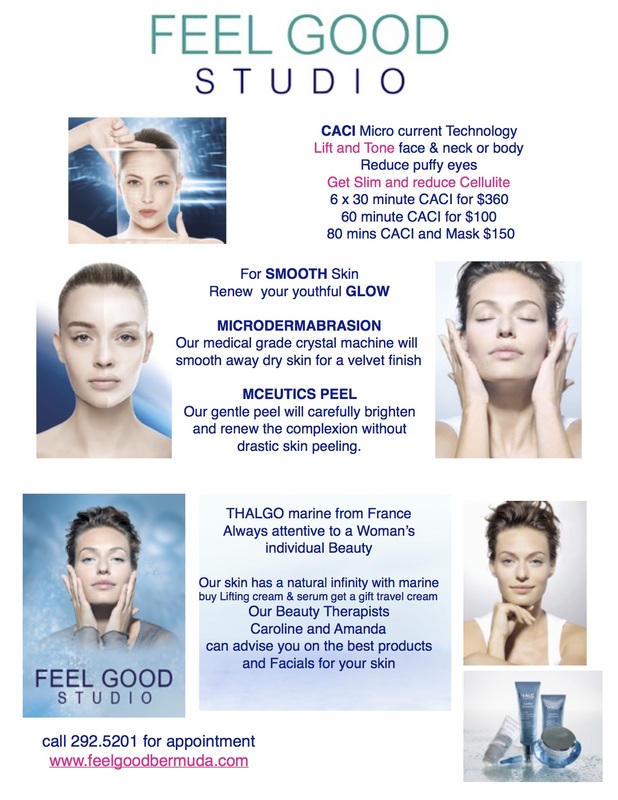 Thalgo Marine products from France have been designed to rejuvenate skin cells and hydrate with something for everyone. Thalgo uses marine water from the cold depths of the Ocean where it is purest and this will naturally infuse deeply into our skin cells. Thalgo harvest and grow sea plants which are rich in minerals and have the unique ability to retain Oxygen to improve the texture and tone of the skin. Hydra Marine is oxygenating for all skins! 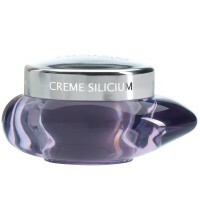 Silicium cream and concentrate is ideal for mature skins with both firming and plumping of lines, ages 45 to 75 years! 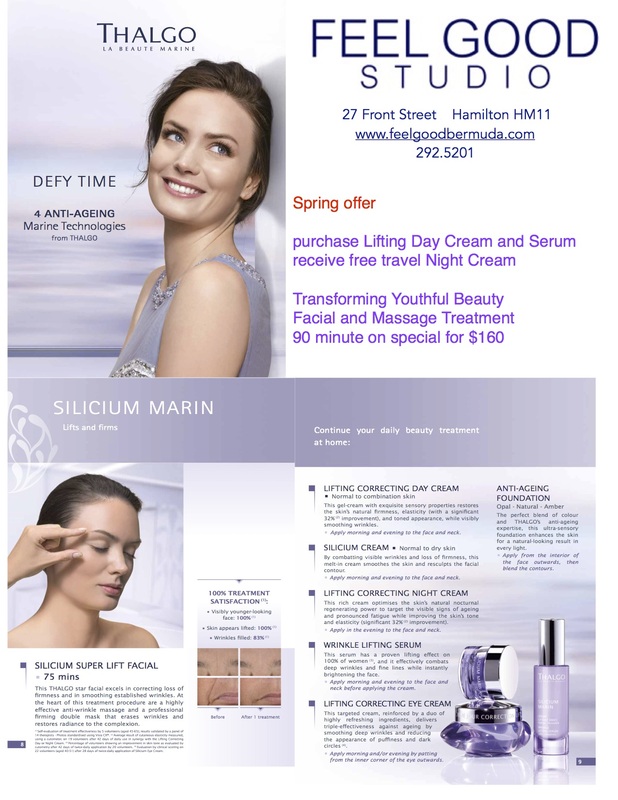 Our medical line Mceutics is used to improve texture, tone and scarring as well as brightening to fade age spots. Thalgo is a pioneer in marine scientific research, selecting high performance marine active ingredients that are gentle on the skin, while respecting nature. Thalgo products are truly made-to-measure answers to your skin's need. Every woman is different and has her own concerns when it comes to skin. 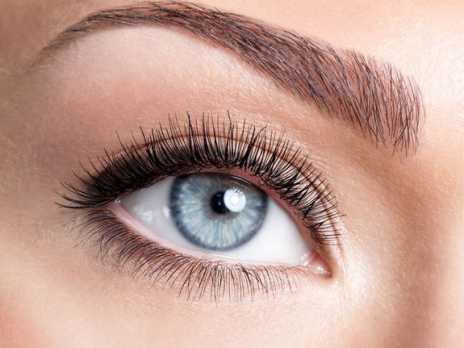 By having your eyebrows defined, eyeliner lastingly applied or your lips outlined and filled with graduating color, you will look bright and fresh morning, noon and night. 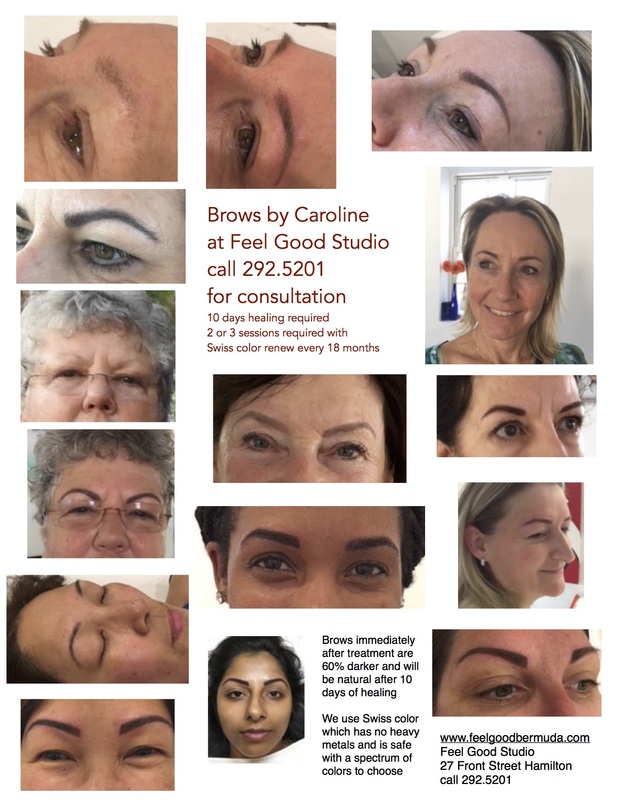 Permanent Makeup has a lasting effect to enhance your features! We recommend a refresh of color every 12 months for brows to give true permanent color. Due to the texture of the skin and lack of oils around the lids and lips the Eyeliner and the lips will need refreshing every 3 years. 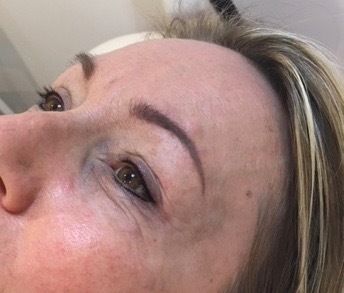 Winter is the perfect time for this procedure as there is a ten day healing process where you will not want to get your permanent makeup wet but it will look beautiful from day one. We use precision tools to balance and define the eyes. 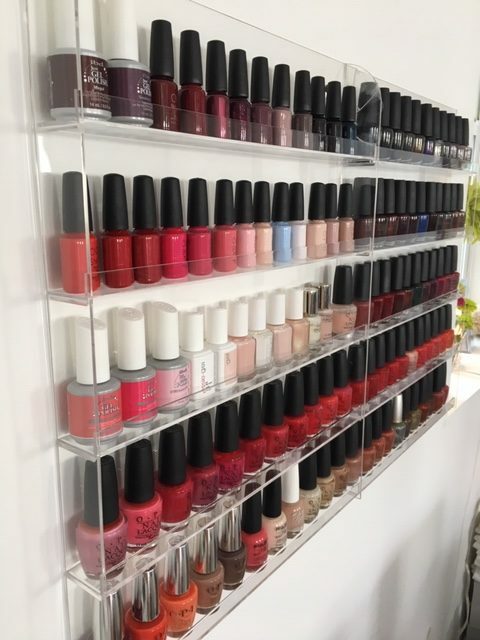 Every woman is unique and with Swiss color we can blend the perfect color to enhance your natural beauty and with lead oxide free pigment and the latest ombre techniques from Europe we can make the procedure look very natural so as you age we can adapt the shape and color to compliment you. 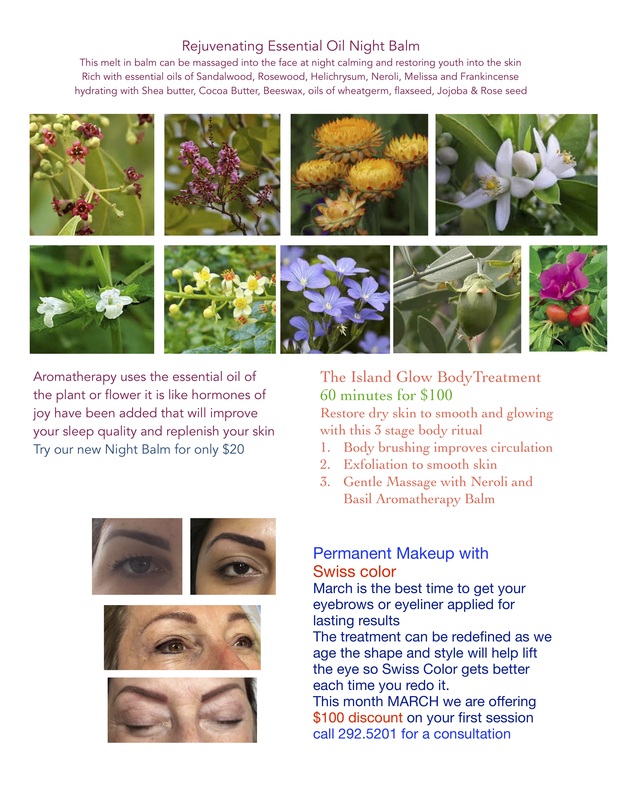 This procedure is the secret of top models and actresses and we are delighted to bring it to Bermuda. We use different styles to suit your face shape. We measure and frame the face to enhance your features and we have a variety of natural colors to compliment your own skin tones and hair. We like to refresh the shape and color every 18 months and this allows us to give a gentle lift effect by adjusting and balancing the natural unevenness of the eyes which is caused by our expressions! 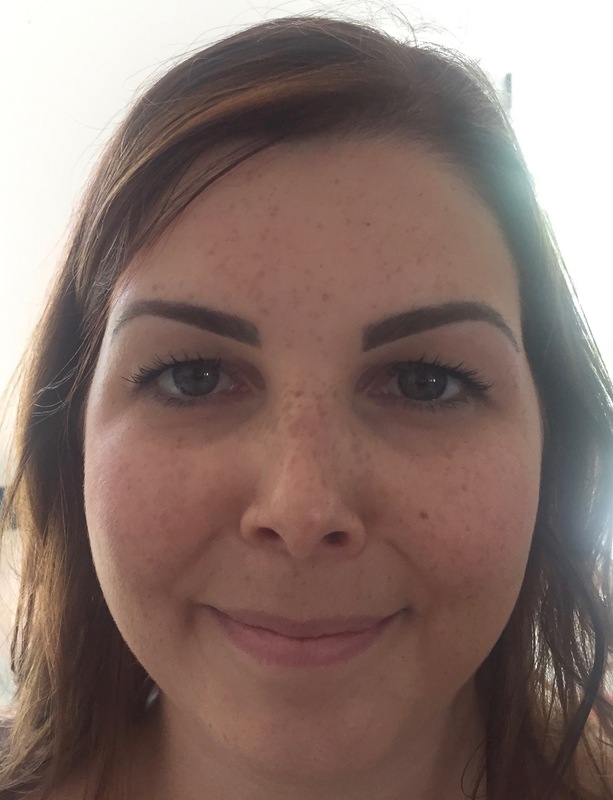 If the brows have disappeared we will use some gentle hairline strokes to keep the look natural but our most popular effect is with ombre where the definition is denser at the tip and arch and gently powders to the top and middle. 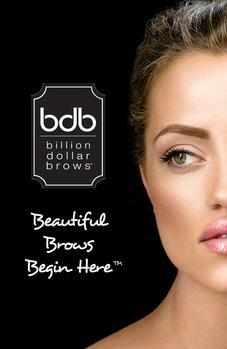 brows are retouched every 18 months which allows for natural changes also. Below are some examples of how we can improve your look with just tinting using natural and safe tints from England and measured shaping with our gentle waxes. An excellent treat to get your skin smooth and glowing after the Summer and relax and rehydrate your body unwinding tension knots. 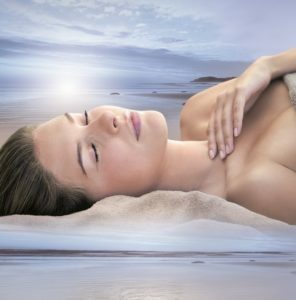 Swedish massage combines gentle effleurage to balance energy with neuromuscular techniques to deeply unwind tension in the muscles and slenderizing movements to mobilize sluggish tissues followed by lymphatic drainage to slim the body. We use essential oils of lemongrass for purity or lavender and thyme for relaxation. to balance and uplift includes lymphatic drainage techniques to slenderize and remove toxins from the body. This head to toe complete treatment can be used to treat specific conditions and hormonal imbalances or just a revival for pure relaxation. This indulging Foot Treatment is great for anyone that is on their feet daily. It entails a welcoming foot cleanse with warm towels and a lovely essential oil blend. Thumb pressure is used along the feet to stimulate the reflex points relating to different areas on the body relieving any stress and improving energy flow. We are offering Hot Stone Massage for deeper muscle tension relief. This Native American Ritual will unwind your mind as you experience total relaxation and release of tension in the body you may drift in and out of consciousness but awaken energized, warm and peaceful. Hot Rock Massage will help to warm and ease stiffness during the colder Winter months. 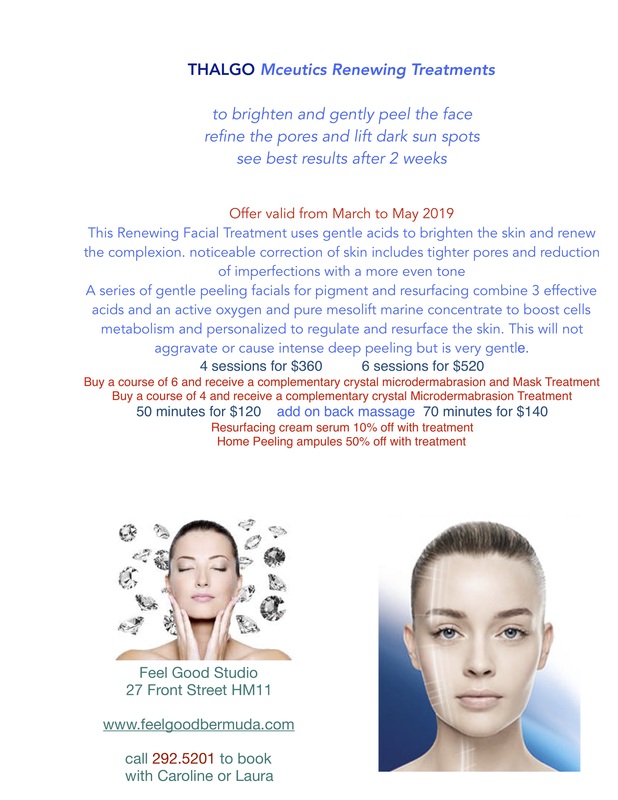 Thalgodermi Facial to treat problem skin $80 for 50 minutes High Frequency zaps spots and Galvanic current clears the complexion.